Niche, French and utterly chic, new fragrance house Evody Parfums launched this week at Escentual. Created by a mother and daughter duo with a penchant for luxury and and a keen knowledge of the olfactive arts, Evody has evolved into a brand that harmoniously combines quality ingredients, passionate composition and absolute elegance. Evody Pomme d’Or is the fruity and aromatic entry of the collection. Although this fragrance is called Pomme d’Or, there’s not an apple not in sight. Instead, the scent relies upon a crisp and sweet bite of lime in its opening accord, together with sparkling bergamot and aromatic juniper berries to evoke the juicy fruitiness of a golden apple. This isn’t an overly fruity, summer punch sort of fragrance; Pomme d’Or has a wonderful aromatic, green woodiness that is more akin to a sun drenched Mediterranean orchard, complete with the trunks and leaves. A gorgeous aroma that evokes the laid-back feel of the Med at any time of year. Floral, woody and warm, Evody Fleur d’Oranger blends light citrus fruits with white flowers to evoke a plush, solar character. With its gently sparkling opening and strong orange signature (mandarin, orange flower, neroli), it’s a faithful ode to the orange flower. There’s something quite comforting about the accompaniment of woods with orange. In this instance the fragrance is supported by white woods to retain a spritelier feel, and it’s a combination that works really well. Deep and resonating with more than a touch of sweetness, Evody Bois Secret presents a tale of light and shade. Sandalwood provides the main focus in Bois Secret, and works well to structure the numerous textures. The scent includes a heated note of black pepper, the milkiness of nutmeg and tonka bean, a glowing amber note and a dark and dirty patchouli dry down. It’s not all that smooth, but that adds to its charm. All in all, Bois Secret is a pretty intriguing scent for men. The exotic Evody Reve d’Anthala is the sweetest fragrance of the entire collection. Though described as floral thanks to a medley of orchid, tiare flower and jasmine, the sugariness of this bouquet combined with the creaminess of vanilla and the sticky sweetness of benzoin give this scent a distinctly gourmand feel. Reve d’Anthala is a languid, luxuriant sort of scent for those with a bit of a sweet tooth. The blend of notes are reminiscent of the floral-scented night air in tropical climes. Evody Note de Luxe follows in the perfumers tradition of interpreting the mysticism and intrigue of the Orient in a floral oriental fragrance. A meeting of grand florals and sweeter gourmand notes, this well-crafted scent gives a nod to some of the fragrance greats. The transparent floral beauty of jasmine and the almost peppery, powdery iris embody the heart of this fragrance. When paired with the creaminess of ylang-ylang and vanilla, and the caramel-like note of benzoin, the scent takes on a decadent character. 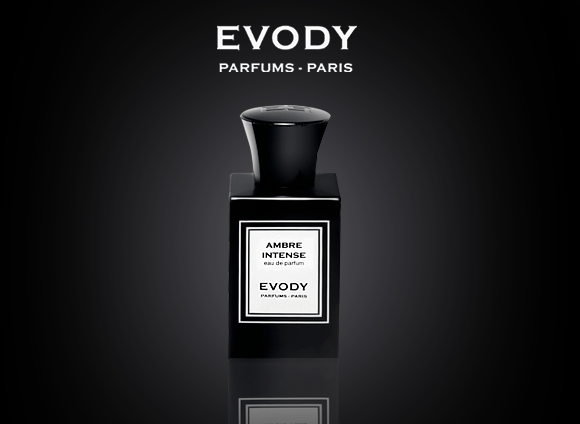 Oriental through and through, Evody Ambre Intense presents a warm and enveloping take on the beloved amber note. The richness of amber is intensified with a touch of echoey incense and dark opoponax, while its lighter facets are represented by bay and a sweeter take on patchouli. This scent is absolutely beautiful on the skin. As it wears the amber becomes almost synergetic with your natural heat, until its balmy warmth becomes ever more skin-like, despite its intense notes. Evody Cuir Blanc is my favourite of the collection, because it is such an genius olfactory representation of creamy, pale leather. Though the leather note is always present, the first impression is powdery and aromatic. Violet leaf, iris and red thyme create a magnetic accord that really does create the smell of ‘white’ leather: luminous, expensive and mildly animalistic. This is a very sophisticated fragrance. There’s something in the combination of notes that gives off an air of restraint and exclusivity – it’s a must-try. Evody Musc Intense was created as another ‘white’ perfume, this time with the aroma of bare skin in mind. Tactile, lightweight and warm, it blends light citrus with flowers and woods to create a musk-like effect, without the use of a musk note. The absence of a musk note means that there’s not a metallic or soap edge to the scent. Instead, Musc Intense is all about harmonious, soft and velvety notes, resting on a creamy bed of tonka and cashmere wood. Have you tried any of the Evody fragrances before? What are your thoughts? This entry was posted on Thursday, May 9th, 2013 at 8:59 am and is filed under Brand Focus, Fragrance. You can follow any responses to this entry through the RSS 2.0 feed. You can skip to the end and leave a response. Pinging is currently not allowed.